The woman admitted she was high on heroin and also wanted to set herself on fire to help resurrect her father. The self-immolation plans of a 35-year-old woman who believed burning herself alive would resurrect her dead father were thwarted by a private security firm in Verulam, northern KwaZulu-Natal. According to a statement from Reaction Unit South Africa (RUSA), the incident took place on Thursday evening in Inanda Road. The company was alerted by members of the public, who said a woman was “trying to set herself on fire”. 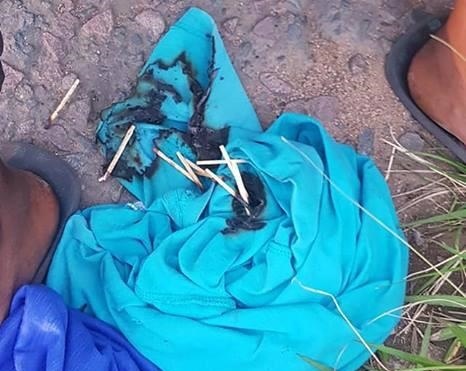 “Upon arrival RUSA members found a female seated on the roadside attempting to burn clothing. She explained that she lives in a bush between the Mountview intersection and Fairview Drive, Brindhaven. RUSA’s Prem Balram told African News Agency that the woman admitted she also wanted to set herself on fire to help resurrect her father. The woman was transported to the Verulam Police Station while her family was being located, said the statement.